NEW EVENT: The Liverpool City Region Health Skills Show! On the 28th of November 2017 the Liverpool City Region Health Skills Show at The Titanic Hotel, sponsored by The Apprenticeship Hub & Shaping Futures & in partnership with Merseyside Health Sector Career and Engagement Hub, will take place for the very first time! All About STEM are proud to be making this happen as the event delivery partner. 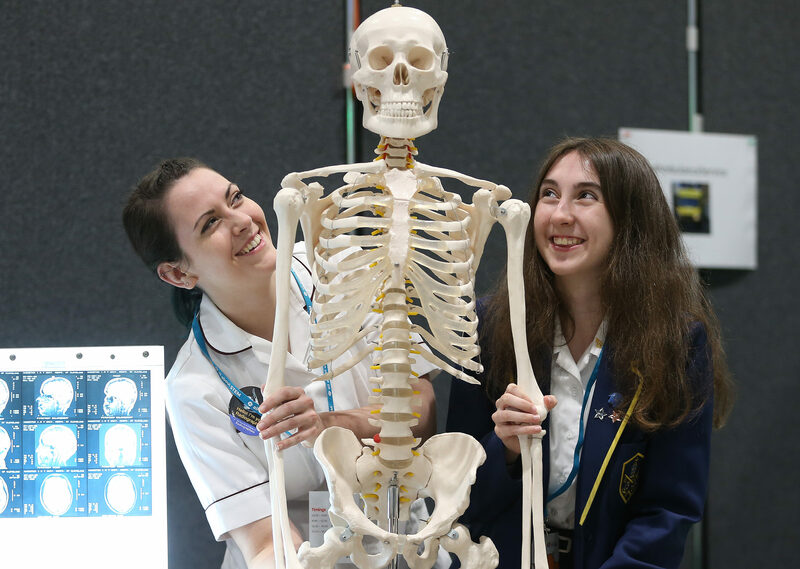 Approximately 1000 students from local schools from across the City Region will attend this FREE one day, one-off event showcasing the healthcare sector & all of the exciting opportunities within it. The show floor will be packed with exhibitors with interactive hands-on activities from healthcare professionals including Merseyside Health Sector Career and Engagement Hub stakeholders, Shaping Futures partner Universities & Colleges, plus The Apprenticeship Hub associate Training Providers. All highlighting & offering information about career pathways in the health care sector, plus a jaw-dropping show from the Medical Mavericks – prepare to be amazed! “The Liverpool City Region Health Skills Show is a platform to help inspire, motivate and encourage young people to consider a career in health. 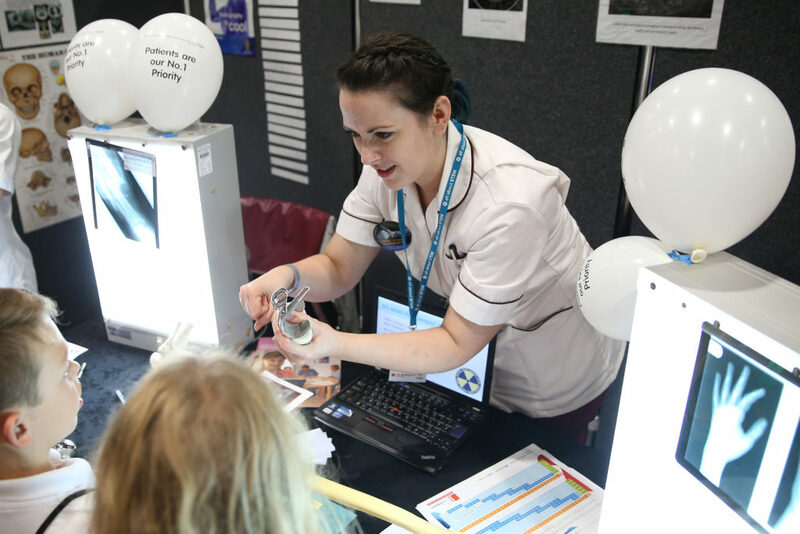 Through a range of interactive stands, the event is an opportunity for us to showcase the diverse range of careers available within health, whilst challenging stereotypical views of health professions. We need talented young people to help develop and sustain our workforce; this show is a chance to provide them with information to make informed choices about their future career.” – Danielle Oakford, Engagement & Liaison Officer, Merseyside Health Sector Career & Engagement Hub. 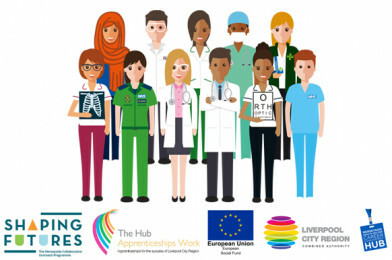 “As part of our commitment to ensuring the best possible information, advice and guidance (IAG) for the young people aged 14-19 across the City Region; Shaping Futures are delighted to work alongside colleagues from All About STEM, Merseyside NHS Careers Hub, LCR Apprenticeship Hub and the LCR Combined Authority in supporting what is sure to be an exciting and immersive event for the participating young people. The event is for students in Y10 – Y13 and will be split into two sessions; morning & afternoon. You can book to bring a group to either (initial maximum group size of 50). We have capacity for 1000 students to attend across the day! MORNING SESSIONS ARE NOW FULLY BOOKED, BOOK NOW FOR AN AFTERNOON SESSION! The risk assessment is downloadable from the booking links above (scroll down). Liverpool City Region Apprenticeship Hub are ESF funded.